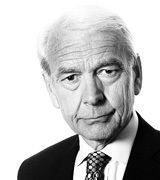 John Humphrys - Universities: Becoming Too Easy to get a Place? August 17, 2018, 3:10 p.m. Universities, and A-level students newly armed with their results, will be scrambling over the next week or so to fit applicants to places for the new academic year. It will be a buyers’ market, with universities anxious to fill a surplus of places from a smaller-than-usual pool of eighteen-year-olds. Is it a good thing that, as a result, fewer young people will be turned away from university, or is there a risk that would-be students will be tempted by offers that, ultimately, may do them little good? This year’s A-levels are the first of the more ‘rigorous’ tests that rely much more on end-of-course exams and much less on modules completed during the two years of sixth form. The result has been the highest proportion of students achieving the top A and A* grades since 2012. These most successful students accounted for 26.4% of the total and, for the second year running, boys did better than girls. For the seventeen years before that, girls had always come out on top. Those students who achieved the results they required to satisfy the offers already made to them by universities will sigh with relief and prepare for undergraduate life. Others will have fallen short and will have to resort to the clearing system which exists mostly to match those with lower grades than their offers required (or those who hadn’t bothered to apply until they saw their results) with courses still available to be filled. They will face a relatively easy task because, in total, the universities still have 30,000 course places still to fill. One of the reasons for that is a simple demographic fact: fewer babies were born in 2000 than usual so the cohort of eighteen-year-olds from which universities recruit most of their freshman students is smaller. In short, universities face a bigger problem in filling their courses than aspirant students have in winning a place. This has worried some observers who fear that universities will be tempted take on young people not really qualified to benefit from a university degree course. They worry too that those young people will be burdening themselves with student debt to no real purpose. Some of this worry derives from the fact that, long before A-level results were out, universities were making more and more unconditional offers to students. Back in 2013 less than 1% of offers made to university applicants were unconditional, but this proportion has steadily grown, reaching 23% this year. Sceptics see this as evidence of a lowering of standards, though universities deny it, citing various other criteria they use to judge the suitability of applicants. But it’s the need for universities to fill their vacant course places that most alarms those who think they will impelled to accept the insufficiently qualified, to no one’s ultimate benefit. The universities obviously have a problem. Their income, derived mostly from the tuition fees they charge students, depends on keeping ‘bums on seats’: they simply cannot afford to have too many unfilled course places. The effect of this system of university funding, say its critics, is that there is an in-built incentive for universities to lower their entry standards simply to maintain income. The problem, they add, has been exacerbated by changes to the system introduced by the coalition government after 2010. First, restrictions were removed that had prevented universities from expanding the number of places they offered; now they are free to expand as much as they want. And secondly, the maximum tuition fee that universities could charge was tripled. It was imagined back then that only the top courses at top universities would charge this maximum. Others would charge less in order to attract students who wanted to minimise their student debt and so a properly functioning market would be established. But in the event, virtually all the university courses started to charge the maximum fee (of around £9,000 a year). Critics argue that this has, in effect, turned universities into big businesses, whose chief aim is to attract ‘customers’ in order to maximise ‘profits’. University vice-chancellors, on this account, have become big business ‘fat cats’, whose well-advertised mega-salaries seem to the critics to confirm the point. And just as ordinary businesses can be prone to ‘mis-sell’ (in effect, ripping customers off), so also universities can ‘mis-sell’ by offering courses to under-qualified applicants. The danger of this amplified, they argue, because of the cachet attached to having a degree, even though there are other, and often more advantageous routes for less-academic eighteen-year-olds to take than going to university. On this analysis, the form of the rip-off suffered by the unwary ‘customer’ is a burden of student debt (on tuition fees alone that amounts, on average, to £27,750 over three years of a degree course) together with a qualification that far from guarantees getting a job commensurate with it. To those who take this view of how the university system now works, this year’s short-fall of eighteen-year-olds and the fact that there are still 30,000 unfilled course places simply add to the danger. Nicola Dandridge, the chief executive of the new Office for Students, whilst not using the pejorative language about business and mis-selling, recognises the problem. She said: ‘While universities often allow students in with lower grades than advertised, it is important they do so with the student’s interests at heart. Lower offers are not appropriate for every student and the danger if grades are lowered drastically simply to fill places is that students may not be ready for the demands of the course and they drop out. Anyone offering places through clearing should put the student first’. Most universities will say that they do not need to be reminded of this responsibility. Even though the way their institutions are now run and financed may seem to owe more to a modern business-model than to an ancient ethic of seclusion and learning, academics are still primarily concerned with teaching and with the welfare of their students, they protest. And many would hotly dispute that the notion of mis-selling is in any way appropriate. In the first place, they point out that British universities have retained a global reputation for excellence that is matched only by the United States, so that getting a degree from a British university has real value. Secondly, they argue that recent changes to that part of their income that comes straight from the government favour the interests of students because the new criteria relate more to assessment of teaching quality than to research done. And many would add that seeing student debt as evidence of universities profiting at the expense of students is to misunderstand how student debt works. Unlike other debt, they point out, it does not have to be paid off. Indeed government forecasts suggest less than half of it will be. That’s because those who have graduated will start to repay their debt only once their incomes have reached a certain level. Those who might be thought to have been ‘mis-sold’ places on university courses by being accepted with low grades at A-level, will never have to repay their debt if, as critics warn, they either drop out or end up in low-paid jobs even though they’ve managed to get themselves some sort of degree. So they will not find themselves ‘ripped off’, and they may well have benefitted from university life in all the other ways such a life offers. So how concerned should we be that, with so many places still to fill, universities will be tempted to make offers to those whose A-level results suggest they aren’t really up to the demands of a degree course? Is it fair to see universities basically as businesses in search of customers, or do you think they do put the interests of would-be students first in offering places? Do you think student debt puts too much of a burden on students or do you think it is a reasonable way to fund universities? And do you think we are sending the right number of young people to university, or too few, or too many?